Home Costs > How Much Does It Cost to Hem Curtains? How Much Does It Cost to Hem Curtains? Hemming a curtain, in most cases, may be necessary when the ready-made panels purchased over the counter are too long. With a well-sewn hem, weight is added to the bottom edge of the curtain and keeps it hanging straight and even. Hemming curtains, depending on how you look at it, can either be a DIY job or it can be done by a professional. The costs of hemming curtains will greatly depend on the length, if it is lined, the type of hem, the company/professional you hire, your geographical location and the type of curtain. On average, from what we researched, be prepared to spend about $15 to $35 per panel. The Tailor Studio, located in Castle Rock, Colorado, posted an official pricing list on their website, with to cost of a hem ranging from $12 per unlined panel to $20 for a lined panel. On this Houzz.com forum thread, multiple members talked about what they should be paying to have a professional hem curtains. According to most of the responses, it seemed as if $10 to $20 per panel was a fair price to pay. Most curtain hemming services have a standard rate and will charge an additional fee for curtains that exceed their set measurement. A shop may charge a pick-up and/or delivery fee, often starting at $15+. This fee will depend on the mileage. 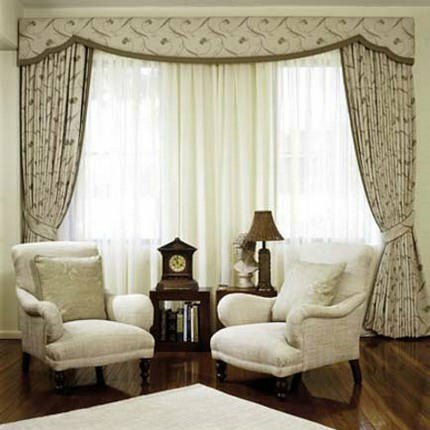 Lined curtains will often cost more than unlined. As you can see via the estimates mentioned prior, unlined curtains can cost up to 50 percent less. The curtain hem is the fabric turned under at the bottom, and the way a curtain hangs is typically affected by this hem. Most curtains depend on the weight of the hem to drape evenly. Fabrics that are lighter need more hem than the heavier types. Sheer fabrics may require a five-inch hem or a doubled hem, for example, whereas a lightweight curtain with a narrow hem to fold up may require a hemming tape. The preferred length will be measured from the top of the curtain to the bottom edge in order to determine the depth of the new hem. The bottom hem is important in the way a curtain hangs. Lighter curtain fabrics will need wider hems at the bottom than heavier ones. The proper measurements must be made to make sure there is enough fabric for the desired curtain length. Sheer curtains may need a double hem at the bottom as more weight can be added by increasing the fold from the edge by a half inch. This will then add some weight and allow the curtains to hang equally. To save on costs, consider the DIY route if you have some experience with sewing. There are numerous sources online that provide step-by-step procedures on how to hem curtains without using professional services. This missbizibee.com post, for example, shows us a low-cost way to hem curtains on your own. In her case, she hemmed curtains she purchased at IKEA. Some seamstresses may offer a discount if you bring in multiple panels at once. Be sure to ask about any discounts and/or don’t be afraid to haggle before paying the price.